We will purchase diamonds, gold, jewelry, Louis Vuitton handbags, and more for the highest value and cash on the spot. 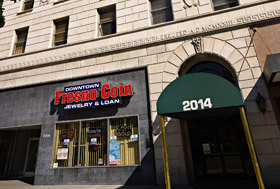 At Fresno Coin Gallery we have created a process that is easy, quick, confidential, and affordable. 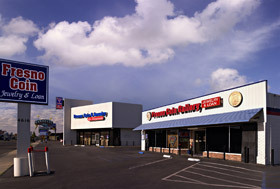 Beyond the respect we commit to each of our customers, we offer a pawn loan that will work for you. In our Showroom, we feature collectable coins, currency and bullion, an extensive selection of new, estate and designer jewelry, Rolex watches, loose diamonds, jeweler services, and authentic gently-loved handbags such as Louis Vuitton and Chanel – all at exceptional values. For over 30 years, we have upheld the highest standards, offered reliable and secure loan and purchasing options, sought the best business reputation, and wholeheartedly contributed to the greater good of the community. We continue to strive for excellence in all of these areas. 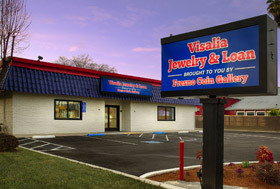 For questions about any of the services we offer at our locations, please call (559) 222-2646 or email us.